It took Ulysses nearly twenty years to get back to his homeland in Ithaca, hindered both by the war and the will of the gods, and when he finally returned he had to fight one last battle in his own palace. Amadeo is the Ulysses of Return to Ithaca, acclaimed French director Laurent Cantet’s (The Class, Human Resources) most recent film. 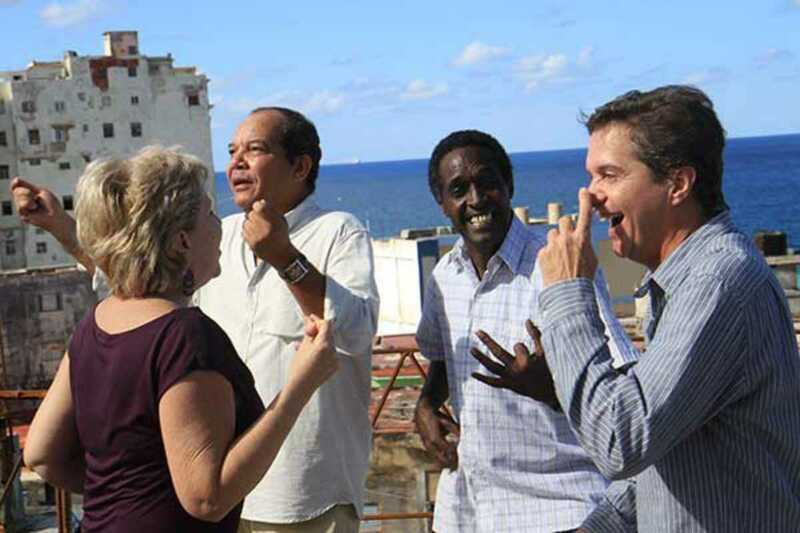 The movie is built around a night in which a group of old friends reunite in a terrace in La Habana to celebrate the visit of Amadeo, who has been living in Spain. What starts off as a pleasant and nostalgic encounter soon leads to a series of painful confessions that intertwine with tender moments and storytelling. A film about injustice, fear, loyalty, friendship and choices, Return to Ithaca is built upon simple yet honest dialogues and performances (sometimes somewhat theatrical) that invite the audience to an unforgettable night that fades into morning, leaving behind at least one thought: friendship is one of the most valuable things in life.